As Singapore was established as an important trading port and major city since our colonial era, Sea Scouting has remained relevant and vibrant through the years, supporting the physical, mental and spiritual development of our youth. In tandem with the general Scout programme, Sea Scouting in Singapore is now a branch of the Singapore Scout Association offering a co-ed youth programme with a system of Progress Badges and Proficiency Badges with considerable emphasis on water activities. 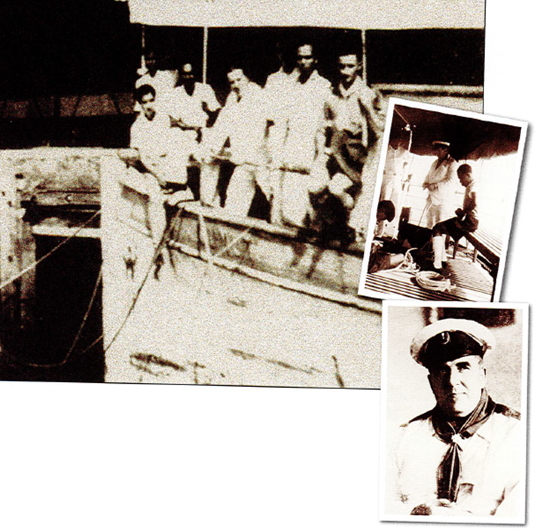 80 years on, Sea Scout training in Singapore continues to develop youths as confident adventurers on the water as they are on land, by teaching them nautical skills and seamanship on a variety of craft. 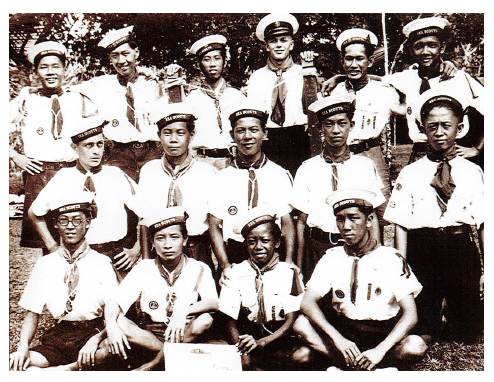 Members of the 1st Trafalgar Sea Scout Troop in their distinctive white and blue uniforms and bluejacket’s cap with Sea Scout ribbons, 1930s.